(Newser) – Republicans have a few more bragging points over their newly passed tax plan, which slashed the corporate tax rate from 35% to 21%. 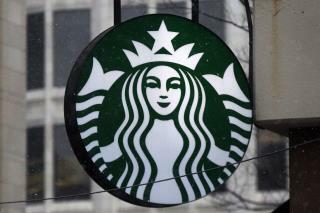 Starbucks: The chain is giving its US workers pay raises and stock grants this year, citing the tax changes, per the AP. Employees also soon will be able to earn paid sick time off, and parental leave benefits will include non-birth parents. The company didn't provide details on the raises, but most baristas now make about $9.60 an hour. The company will give at least $500 worth of Starbucks stock in April to employees at stores, support centers, or bean roasting plants. Store managers will get $2,000 in stock grants. Disney: The Walt Disney Co. will give more than 125,000 employees a one-time $1,000 cash bonus and invest $50 million in an education funding program, reports the AP. Nearly 88,000 hourly employees will be eligible for the education program, which will cover tuition costs. One financial analyst tells the Orlando Sentinel the bonuses are a "drop in the bucket" compared to the hundreds of millions Disney will save in the tax cut. Dimon bullish: Jamie Dimon of JPMorgan Chase tells CNBC he sees the tax cut resulting in strong economic growth and higher wages. "I think it's possible you're going to hit 4% sometime this year," he says. "I promise you, we are going to be sitting here in a year and you all will be worrying about inflation and wages going up too high." More Ms. Pelosi Crumbs. These tax cuts will kill people, they’ll be drowning in all the extra money. You reached for the secret too soon, you cried for the moon. Shine on you Jamie Dimon.